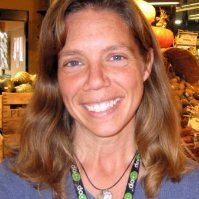 In this episode of Cause Talk Radio, Megan and Joe talk to Allison Weinhagen, Director of Community Engagement at City Market, a 16,000 sq. ft. community-owned food cooperative in downtown Burlington, Vermont. Anytime you check-out at City Market, you can choose to “round up” your total to the nearest dollar. Each month, the spare change collected during Rally for Change is split between three great non-profits that align with the co-op’s mission. Since the program’s inception, City Market has raised over $300,000 for charities. How does the round-up work with the store’s POS system? How City Market communicates the impact they’re having in the community.